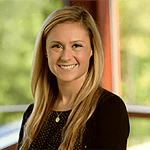 Katelyn graduated from Monmouth University in 2013 with a bachelor’s degree in Health Studies. Katelyn said she chose Monmouth because she was drawn to the beautiful campus that was close to home and its small class sizes would allow her to build great relationships with her professors. 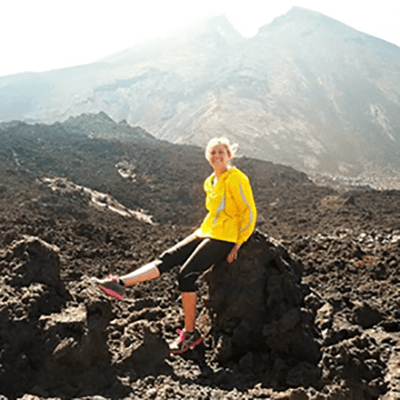 Her strong interest in health prevention and education brought her to Guatemala in 2012 with Dr. Hirschler and three other Health Studies students. 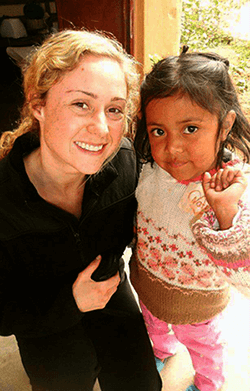 The “Guatemala Public Health” service learning course inspired her to pursue a career focused on linking communities with real health solutions. Katelyn interned with V Well Health and assisted in the design and implementation of marketing plans, helped to streamline products and websites, and worked with clients to improve their health. Katelyn put together weekly menus and meal plans and placed these resources on the website for members to access. 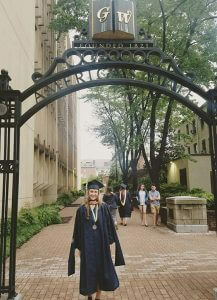 Immediately upon graduation from Monmouth, Katelyn accepted a position at Memorial Sloan Kettering Cancer Center (MSKCC) as a Client Service Representative. During her three year tenure at MSKCC, Katelyn transitioned to a Session Assistant in the Surgical Oncology Department. In December 2016, she will begin working at their new outpatient facility located in Middletown, New Jersey.